The Palissade Cone Bistro Table is a new addition to Hay's Outdoor Palissade range and is characterised by its conical base, filled with concrete for stability. In spite of its sturdy features, the foot does not look chunky at all. Combined with the thin tabletop, it has a graphic appearance, which can be seen throughout the series designed by Ronan & Erwan Bouroullec. Thanks to its special primer, the Bistro garden table made of powder-coated steel is resistant to the effects of weather and ideal for outdoor use. 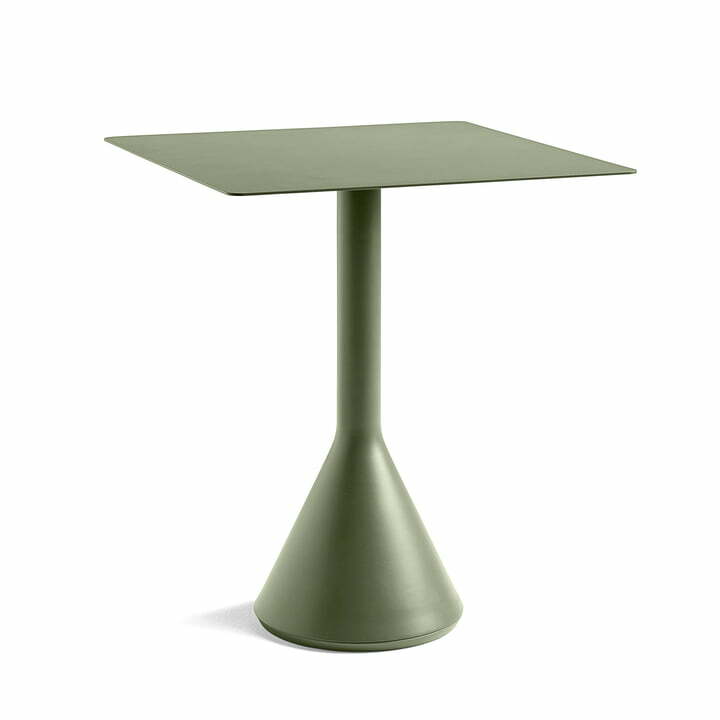 The Bistro Cone table is available in various colours as well as shapes: Both the round variant with a diameter of 70 cm, and the square tabletop measuring 65 x 65 cm can accommodate two people, who can dine together on the balcony, on the terrace or in the garden. There's nothing to stand in the way of a barbecue or a leisurely breakfast in the open air. 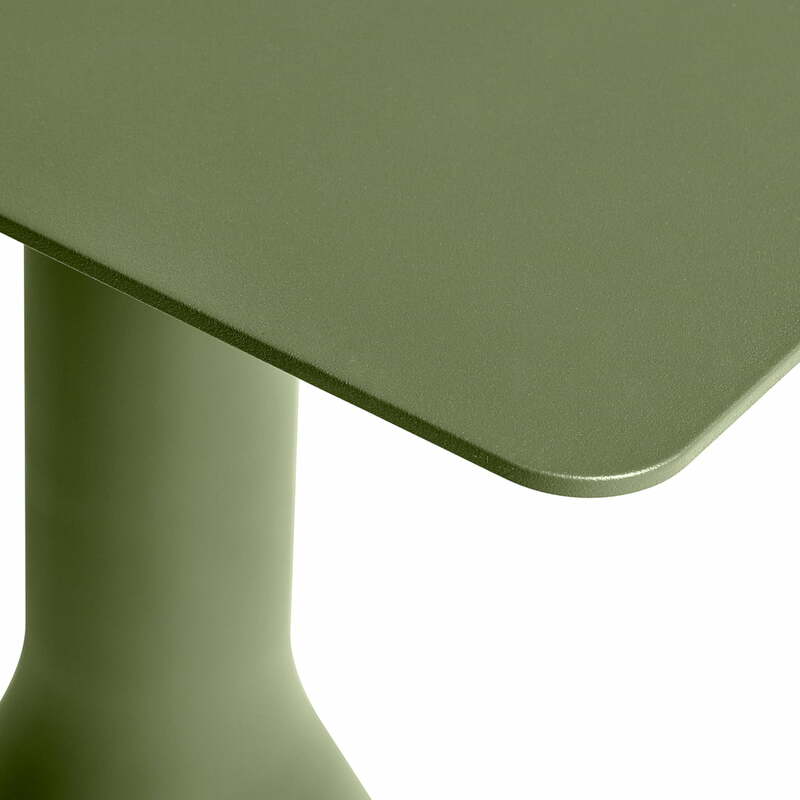 The table is available in various colours, as well as in a standing and garden table version. The Palissade Cone Bistro Table is a new addition to Hay's Outdoor Palissade range and is characterised by its conical base, filled with concrete for stability. Both the round variant with a diameter of 70 cm, and the square in the dimensions 65 x 65 cm can accommodate two people who can dine together on the balcony, on the terrace or in the garden. 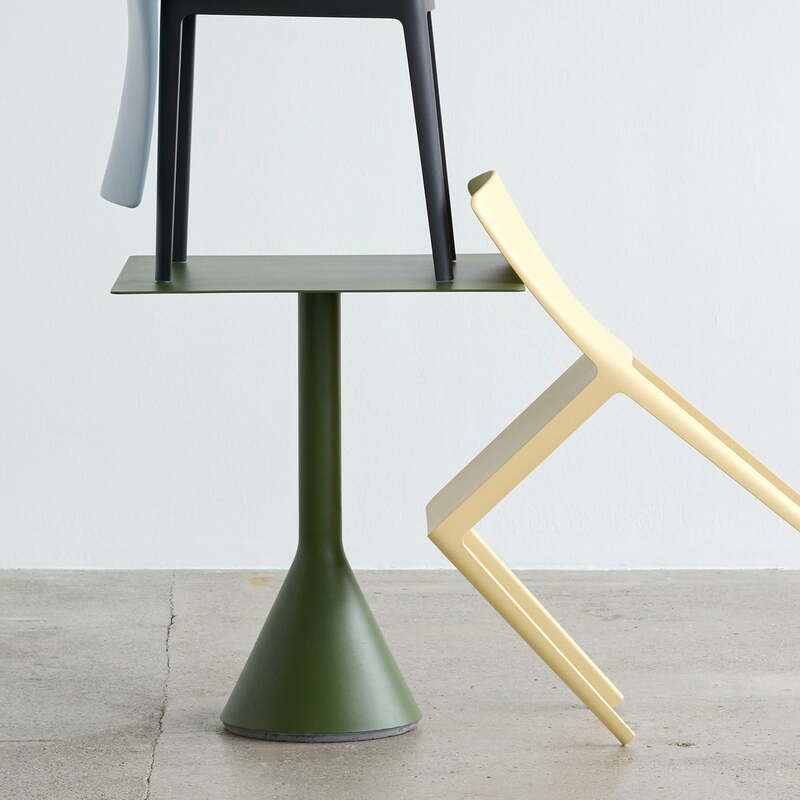 Palissade Cone Bistro Table by Hay: In spite of its sturdy features, the foot does not look chunky at all. Combined with the thin tabletop, it has a graphic appearance, which can be seen throughout the series designed by Ronan & Erwan Bouroullec.